In the past few years, smart kitchen appliances have become a more common sight in the typical kitchen. Aside from keeping fresh food and drink chilled, smart fridges can also be used for sending emails, drawing up shopping lists and even finding a few recipes if left with just a few ingredients to cook a meal for the whole family. What many people would find hard to believe is that smart appliances can be hacked and used to send out spam emails to unsuspecting people, as a recent story in the news revealed. Over 100,000 devices were compromised as part of this attack, including home web routers, smart TVs, PCs and laptops. Then, the devices sent out around 750,000 spam emails, causing damage when opened. 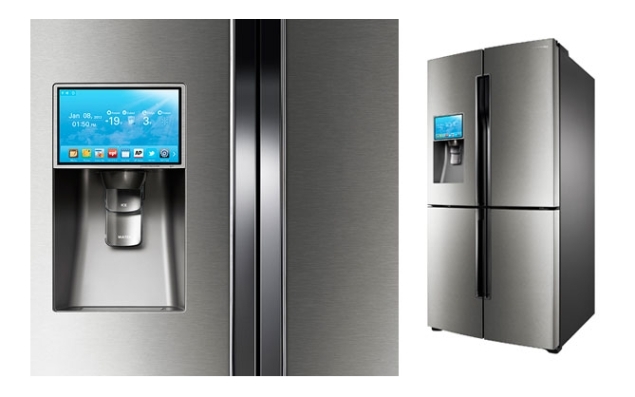 The botnet, which saw infected devices send out signals to smart fridges and similar appliances, caused havoc between December 23rd and January 6th. A mixture of businesses and private individuals were targeted as part of each wave of spam emails. In total, around one in four spam messages were sent out by devices not seen as conventional computers like laptops, PCs and tablets. Although the very idea of a fridge sending out spam seems ridiculous, there’s a very real possibility that such a thing could become more commonplace, especially as more devices become internet-capable. As the prevalence of smart fridges, washing machines and even cookers grows, so will the need to make sure that all these appliances are protected from the threats posed by malware. Again, making sure that kitchen appliances are safe from being infected by malware seems absurd, but in time, it will become as necessary as keeping a typical laptop, desktop PC or mobile device secure. This could come in the form of installing an anti-malware program which covers every device with an internet connection to speak of or perhaps employing different solutions for each appliance. “It is common for such devices to be compromised as they are becoming more connected. We often find a lot of vulnerabilities that could be exploited on devices such as network printers, IP CCTV systems and other IP enabled devices that often are not part of the general patching policy. Everybody knows about the risks to servers and workstations but other devices also need to be brought into the same patching policies.” warns Andrew Mason from RandomStorm. As an alternative, it might be worth thinking twice before investing in a smart fridge, but as the way in which technology dictates our lives continues to change, it might become unavoidable to buy such an appliance. Performing daily scans for malware may be the best way to ensure that your appliances, no matter what their primary function is, are free from any kind of malware.